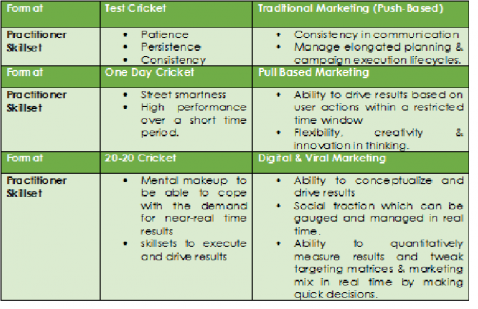 Cricket has gone through multiple rounds of evolution over the last several decades. It started off with just one format – Test Cricket. Excellence during this period demanded attributes such as patience, persistence, technical expertise. With the advent of the shorter One Day international format, innovation, flexibility and an ability to make quick decisions started to hold greater importance. Enter the era of Twenty 20s and the need for these attributes got magnified that much more. 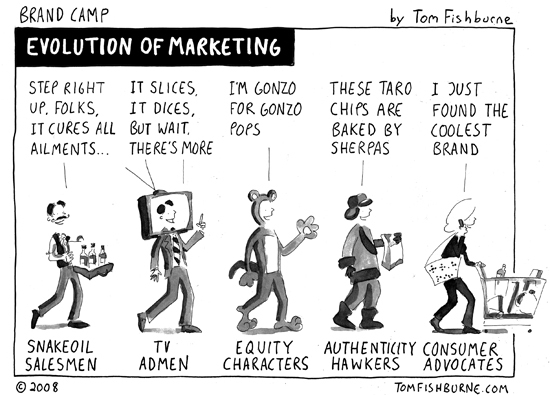 Marketing has gone through similar rounds of evolution. Traditional marketing revolved around extended brand planning lifecycles, communication strategies which focused on elucidating the brand value propositions in a functional manner and the channels comprised primarily of “push” based avenues which flooded users with information with some barebones targeting matrices applied. An era which can be compared to the laidback era of test match cricket. The next phase of the marketing evolutionary curve revolved around “pull” based advertising with innovations such as “On-ground activations”, “Contest based lead generation” etc. taking root. The subsequent more recent marketing evolution was in the form of Digital which allowed marketers to accurately tweak their targeting matrices, spends and marketing mix in real time and make data driven decisions. 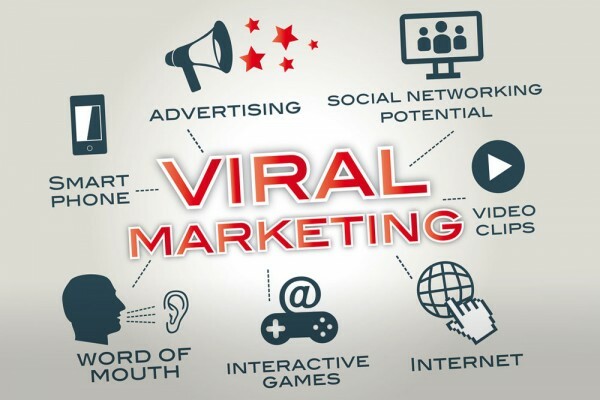 An offshoot of this revolution was the birth of “viral” marketing campaigns which in-spite of not being directly “selly”, drove disproportionately high brand mentions and social traction for companies. An engineer + b-school grad from SPJIMR, Mumbai, he has dabbled with financial services consulting & product management before getting bitten by the start up bug. Has been a serial start up addict ever since and been a part of one other Chennai based internet startup prior to his current avatar. Today, he heads marketing at stayzilla and is engaged in the intellectual and challenging pursuit of acquiring customers at a cost which makes business sense at a rate which can keep them competitive. He is also a fiction author who has created his own fictional character – Prince Surya and published 3 books as part of the “Adventures of Prince Surya” series.